I am trying to create a table with horizontal and vertical lines, but the lines are not meeting in the upper right hand corner. Can anyone figure out where I'm going wrong? How do I get these lines to meet? 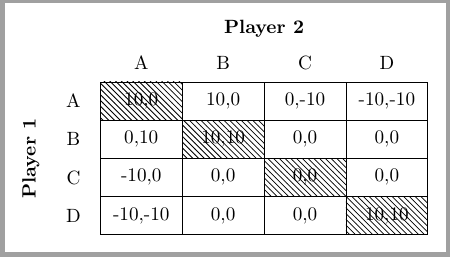 You are using TikZ to hatch some cells, why not use it to build the complete table? Not the answer you're looking for? Browse other questions tagged tikz-pgf tables or ask your own question.